Fidget Spinner There are 27 products. Mini cube blocks, fidget toy. Material: ABS Please select a color. 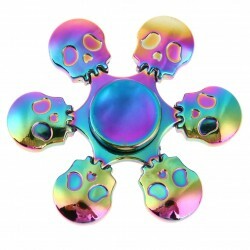 Skulls, hand fidget spinner. Material: Metal. Size: 6.5 * 6.5 *1.3cm. Net weight: 76g. Hand fidget spinner. Light, waterproof. 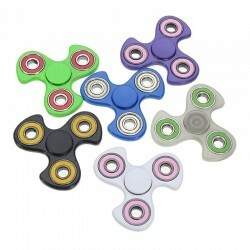 Extreme long spinning Material: Aluminum Please select a color. 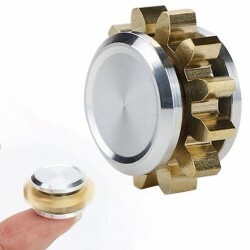 Round Finger Fidget Hand Spinner. Material: ABS, iron. Size: ~ 6 * 6 * 1.2cm. Please select a type. 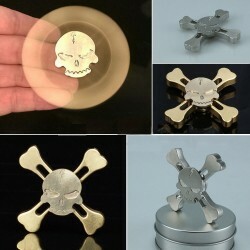 Skull, Finger Fidget Hand Spinner. Material: zinc alloy. Please select a color. Hand Finger Fidget Spinner. Material: alloy. Size: ~ 6 * 6 * 1cm/2.36" * 2.36" * 0.39" Please select a color. Finger fidget hand spinner. 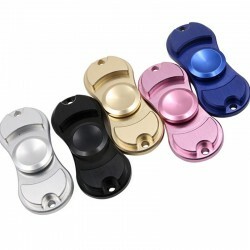 Material: aluminum, stainless steel, LED. Size: 7.5 * 7.5cm. Please select a color. Mini Finger Fidget Cube Toy. Material: plastic. Please select a type. Rainbow Fidget Spinner. Material: brass. Size: 6.1cm. 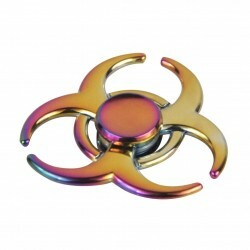 Tri-Spinner Fidget Toy. Material: ceramic silicon nitride. Size: ~ 7 * 7 * 1cm. Weight: ~ 50g. Color: sent randomly. Finger Fidget Spinner. 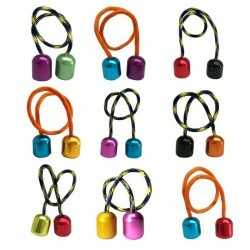 Material: aluminium alloy. Bearing: R188 bearing Spin time：~ 150-180sec. Size: ~ 60 * 60mm. Weight: ~ 45g. Color: sent randomly. Finger Spinner Fidget. Material: aluminum alloy. Packaging: metal box. Weight: 36g. Please select a color. 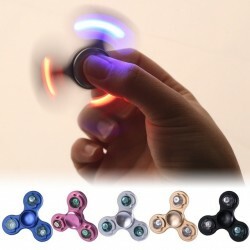 LED Light Finger Spinner Fidget. Material: ABS + metal. Powered by: 3* 1632 batteries. Size: 75 * 12mm. Weight: ~ 32g. Please select a color. 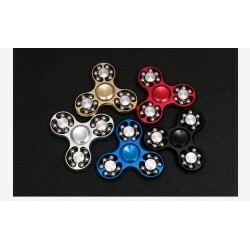 Finger Spinner Fidget. Material: metal. Please select a color. 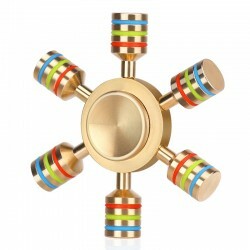 Colorful Round Finger Spinner Fidget. Material: alloy. Finger Spinner Fidget. Material: aluminum alloy. Size: 7.5 * 7.5cm. Please select a color. 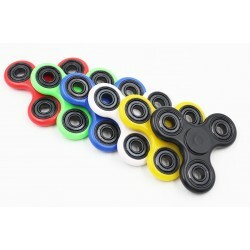 Finger Spinner Fidget. Material: plastic, ABS. Size: 9 * 8.5 * 1.5cm. Color: sent randomly. 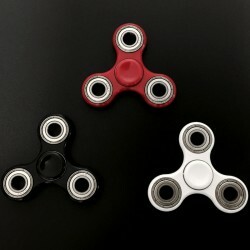 Finger Spinner Fidget. Material: alloy. Size: 10cm. Color: sent randomly. 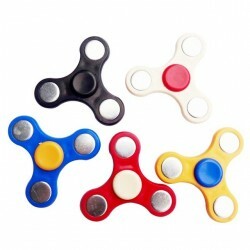 Finger Spinner Fidget. Material: ABS Size: 7.5cm. Color: sent randomly. 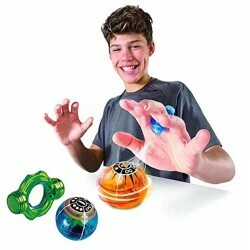 Sensory Fidget Spinner For Autism And ADHD Anti Stress Toy. Material: plastic. Size: 6.5 * 6.5cm. Please select a color. 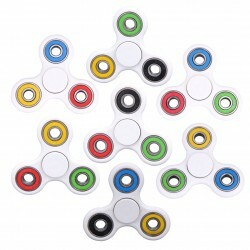 Sensory Fidget Spinner For Autism And ADHD Anti Stress Toy. Light, waterproof. Material: gold plating. Please select a color.